Hey Dom, a two-wheeler rental service, lets you rent out premium bikes for all your road trips. Plus, they have scooters and cycles for running errands or travelling short distances too. 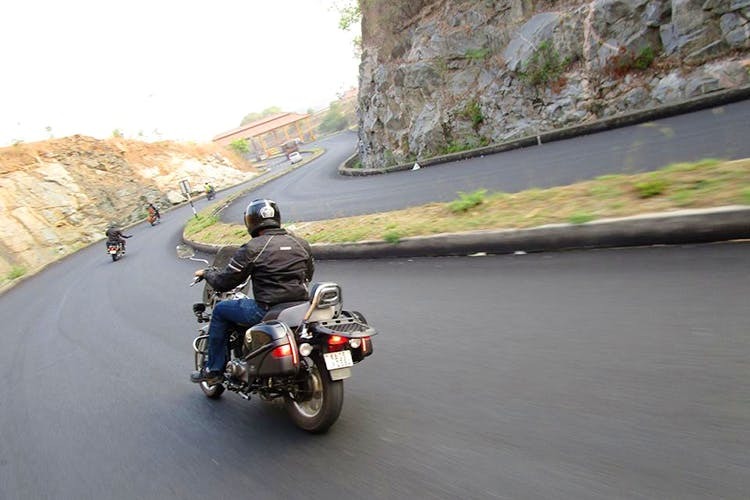 For 12 hours, you get 300 free kilometres to ride to one of these cool destinations from Bangalore. And that too on a Harley Davidson 750. It’s all thanks to Hey Dom, the two-wheeler rental platform, that lets you rent out two-wheelers such as Harley, Bajaj Dominar, and Royal Enfield Classic 500 as well as scooters and cycles. A refundable caution deposit of INR 2,000 applies to all their vehicles on the fleet. But with 12-hour charges starting at INR 199, it's not too bad. The pickup (and drop) locations are limited to Koramangala, Indiranagar, Shivaji Nagar and HBR layout. We tried renting out the Harley and it’s a pretty simple process where you need to upload your original DL and address and emergency contact numbers. Post which you will be emailed with a payment link should the vehicle be in stock. They regularly conduct biking trips all around South India, so be sure to sign up for their newsletter or follow them on their social media handles. Save time on cab commute by renting from the scooter and bicycle fleet. At INR 2 per extra kilometre, it's a real money saver too. Cyclists, shell out only INR 199 or upwards, so you can get fit and save time. Plus, no need to buy a cycle that costs a bomb. If you're not committed enough, try it for a week, or even a month, and then go all the way!